Prog-Rock Group SOEN Reveals Music Video for Introspective Track Lucidity"
SOEN - the heavy progressive rock group featuring world-renowned drummer Martin Lopez (formerly of AMON AMARTH and OPETH) and the dynamic voice of Joel Ekelöf (WILLOWTREE) - will release their upcoming full-length opus Lykaia on February 3, 2017 via UDR Music. After initially introducing the album to fans with the charging, groovy first single "Sectarian", SOEN are returning to showcase another side of their sound by premiering the smooth, downtempo prog-rock track "Lucidity". Watch the video now on KNAC.COM right HERE. Lopez comments, "This song represents a time in my life when I unconsciously walked towards self-destruction and celebrates, to an extent, the death of that lifestyle and the birth of a new era. It's dark but comforting. The music is soft and dreamy but carries the tension of a past-life full of mistakes." Lykaia is a journey into earthy, emotional places, and is SOEN's most cohesive, powerful and congruent creative quest yet. For those who have followed the band's career thus far, the new album's concepts of journey and exploration are not new. 2012's Cognitive beat a firmly heavy, progressive metal path. 2014's Tellurian - with its PINK FLOYD explorative spirit and OPETH-like forceful power - saw SOEN start to stride freely into their own control and unique visions. 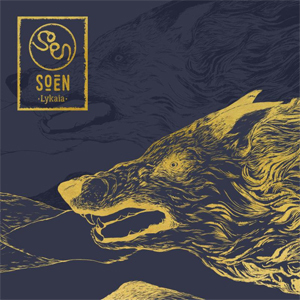 Lykaia sees SOEN remain fascinated with the shadows and the darker edges of our world, with a particular focus on the various thoughts and concepts behind religion and ritualistic, belief-based behaviour in society. Lykaia pre-orders are now available in three formats - digitally, audio CD in digisleeve, and gatefold vinyl. Order now and receive "Sectarian" and "Lucidity" as immediate downloads. Recorded at Ghost Ward, StudioGröndal and Deep Well in Stockholm, Sweden, with production duties handled by guitarist Marcus Jidell and mixing by Stefan Boman, SOENLykaia, embracing warmth and organic recordings as the drive behind the technical working process.